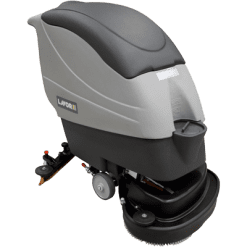 The COMFORT85RUP scrubber dryer is capable of deep cleaning large areas (up to 4,000 m²) with a considerable reduction of cleaning costs. This is as a result of the 850MM twin brush coverage and 900MM squeegee coverage. 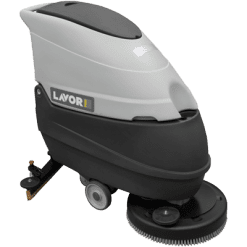 This industrial floor cleaner comes standard with 4 x 6V batteries for a very large runtime and battery life. More than 50 kg of constant pressure on the brushes allow for a very deep clean. There is a dead man switch on the seat and tilt sensor, triggering the auto shut off. As an additional safety measure, the machine has an industrial flashing safety light while in operation. 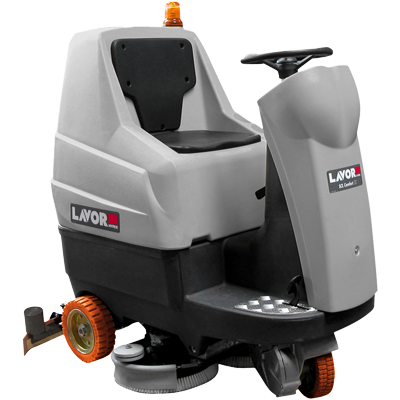 The ergonomic and comfortable shape of the machine allows the operator to work effortless for a long time. As a result, there is an improved productivity time. 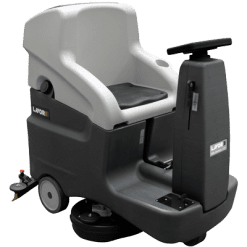 With this scrubber dryer, there is no lever control due to fully automatic operation from the electronic dashboard on the steering wheel. The control panel also has an hour meter, speed adjustment, detergent solution usage and low level warning light. 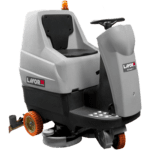 The COMFORT85RUP is our elite industrial floor cleaner best suited for very large industrial factories and warehouses, where cleanliness is essential, with an ease of use which is unmatched in our other models.